Love to cook? Would you like to learn how to cook from scratch? Or learn to cook something special, from croissants to charcuterie to cakes to cassoulet? Then you’ll love Kitchen Conservatory, St. Louis’ premier kitchen store and cooking school. Kitchen Conservatory makes cooking fun! Anne Cori is a self-professed cooking nut. In her 20s, she trained in restaurant kitchens in Italy, France and across the United States. Since purchasing the store, Anne has doubled the size of the store and added a second teaching kitchen. In 2010, the St. Louis Business Journal featured Anne in its column St. Louis Character. Anne Cori and the staff at Kitchen Conservatory are all knowledgeable about cooking, kitchen tools; like many of us, they are curious, engaged cooks at home, not just at work. 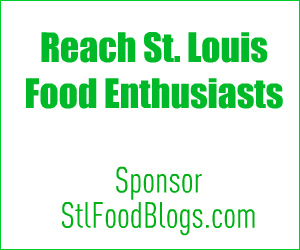 St. Louis food blogger Kelly Gardner of Sounding My Barbaric Gulp works and teaches at Kitchen Conservatory. Several other food bloggers also regularly teach cooking classes. Kitchen Conservatory is a cook’s treasure trove. From All-Clad and Le Creuset cookware lines to a huge selection of cookie cutters and cupcake papers, from baking tools to Wusthof cutlery to all the special tools that make our kitchens more efficient. If the tool is worth using to cook, Kitchen Conservatory sells it. One of the most popular items at Kitchen Conservatory, even in the digital era? Recipe boxes and recipe cards. Kitchen Conservatory is the only store that sells every shape and size of pastry tip. Lose your favorite pastry tube down the disposal? Get several replacement tips without having to buy a whole new set of pastry tubes! Kitchen Conservatory has two teaching kitchens and holds more than 700 different cooking classes a year. Over 200 different culinary professionals, including many top St. Louis restaurant chefs, teach cooking classes at Kitchen Conservatory. Other classes are led by individuals with expertise in everything from international cuisines to bread-baking to fresh sushi to cake and cookie decorating. Some classes are hands-on; in other classes, just sit back with a glass of wine, watch, and listen while the instructor cooks, then enjoy a great meal that you just might be inspired to try at home, too. Work side-by-side with the chef and other couples in ‘Date Night for Couples’ which feature delectable menus. Or gather a group of friends for the fun ‘Girls’ Night Out’ and watch the chef-instructor create magic in the kitchen. And the class titles are funny! Read through the list of cooking class names for a quick smile: You Wanna Pizza Me, An Éclair to Remember, The Duck Stops Here, The Taming of the Stew, Lord of the Onion Rings, Planet of the Crepes, Doughmestic Diva, Life is a Cabernet, Naan-Stop Fun, On Morel Grounds, Feta Attraction, Obsessive Corn-Pulsive, Strip Tease, Meat Me in St. Louis, Jar Wars, House of the Rising Bun, and many more rib-tickling titles. For those just learning to cook, sign up for Knife Skills or the Basics of Cooking, for simple techniques and clear, concise recipes for cooking easy homemade dinners. Basics is held five times a year and is spread across four hands-on sessions. Interested in a customized private cooking class? Kitchen Conservatory can tailor-make a cooking class with all the foods you love! Use the kitchen for a memorable corporate team-bonding, client entertaining, a competitive Iron Chef spectacle, or personal celebration. To master a specific skill, schedule a two-hour customized cooking tutorial with a chef. For St. Louisans, check out Kitchen Conservatory’s grocery section for cooking ingredients that are hard to find locally – look for duck fat, all-butter puff pastry, almond flour, espresso powder, meringue powder, porcini powder, and decorating sugars in all colors, shapes, and sizes. Looking for a great gift idea for your favorite cook? Kitchen Conservatory offers gift certificates, redeemable for merchandise or cooking classes and can be used in-store or online. Even more convenient? Buy a gift certificate online, then print it at home for an instant, last-minute gift. Dull knives no more! Good cooks know that it takes a professional sharpening equipment to put the edge back onto a knife. Sharpen all your knives at least once a year, in addition to frequent honing at home. Kitchen Conservatory offers 24-hour turn-around, currently $3 per knife. Valentine Cooking Classes for Couples – The participation cooking classes for couples are especially sweet during the first two weeks of February when the menus feature romantic foods and the joy of cooking together. The cooking classes on the holidays are extra-special: Mardi Gras party, Mother’s Day luncheon, and Father’s Day barbecue. Homegrown Garlic -- Anne and her husband Tom plant 1,500 garlic plants and sell the best garlic heads. Fresh garlic is available for a few weeks beginning in late-June. Cookbook Exchange (first week in August) – Find new homes for those cookbooks you’re not using any more! Each August, Kitchen Conservatory invites St. Louisans to drop off cookbooks, each one worth an extra 5 percent discount on in-store merchandise. The cookbooks are available for sale for just a dollar or two; it’s a great source of out-of-print and interesting cookbooks. The challenge is to leave with fewer cookbooks than you donated! Thanksgiving Pies – On the day before Thanksgiving, Anne teaches a hands-on pie class. She’s famous for her flaky, tender pie crust -- local food writer Alanna Kellogg calls Anne the ‘pastry whisperer’, just check out the Flaky Tender Pie Crust. In this class, you make your own pastry and head home with three pies (apple, pumpkin, pecan) for the big feast day. Gingerbread Houses – Build and decorate your own house and celebrate the holiday spirit. Kitchen Conservatory offers six gingerbread classes for children (7 to 12 years old) and two adult gingerbread classes in early December. Kitchen Conservatory is a paid sponsor of StlFoodBlogs.com.